There are many situations when soap and water are not available and we still need to clean our hands, especially when we`re outside school classrooms, stores, and even bathrooms. Using hand sanitizer is a quick and easy way to clean your hands when there is no immediate access to soap and water. However, some studies reveal that sanitizers are actually not healthy for your skin. Sanitizers are mixtures which contain 60% alcohol to reduce the number of microbes, kill the germs on your hands, and replace soap and hot water. 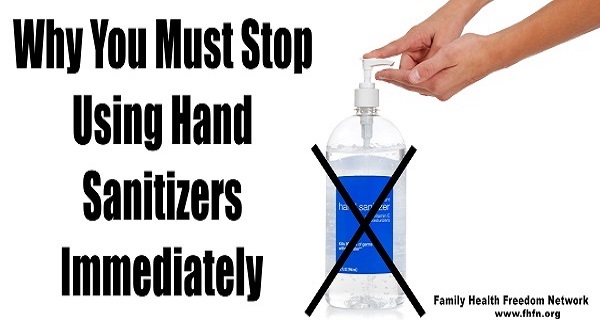 When you apply sanitizer on your hands, it evaporates quickly, presumably cleaning your hands from bacteria. Many sanitizers contain antibiotic named triclosan, which has the ability to kill 99% of the bacteria on your hands. Unnecessary antibiotic use can lead to antibiotic resistance, which means bacteria adapt and become stronger. So, when you will really need antibiotics, they may not be effective. Study results have linked triclosan with disturbed hormone levels. They indicate that triclosan can disrupt hormonal levels, especially in children and young adults. Young children put everything in their mouths, so hand sanitizers can be dangerous to your kids. It is very important to know that a couple pumps of hand sanitizer are equal to several shots of alcohol, so children or pets can accidentally get alcohol poisoning. Study results have shown that triclosan can have negative effect on your immune system. Sanitizers are often used in hospitals because of their practicality. But, people who regularly use sanitizers instead of soap and water have higher risk for developing serious diseases. Sanitizers contain a great percent of alcohol, which when applied regularly, can dry your skin and make it crack which allows bacteria to enter directly in your body. Fortunately, you can make your own hand sanitizer which will contain healthy and safe ingredients. The essential oils will kill the germs on your hands and will soften and moisture your skin.